There are always those days during the summer when you just don't want to get out of our pajamas. This super casual romper is perfect for those days where you have to go out, but want to look comfy and cute. This romper is too cute on you!! Love the whole look! Thank you! It's definitely the perfect lazy day look! 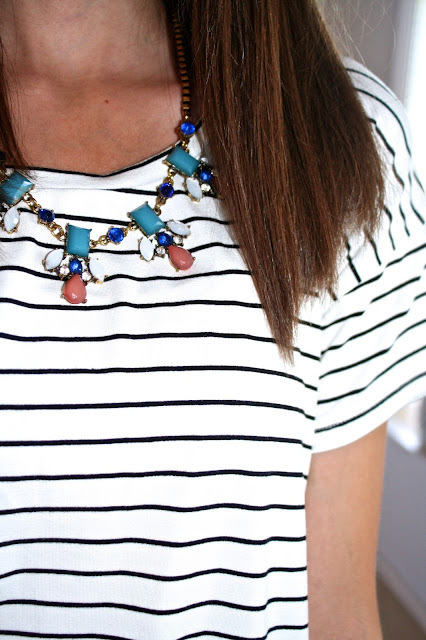 This look is adorable and very summery, I love J.Crew Factory too! Great post! Thanks! I find such great things at J.Crew Factory, the clothes are so easy to style and wear.